There are many strange and mystical creatures in the lands of Westeros. The Giants are among them. These massive creatures are just like humans, only much, much, much bigger. Anyone who says that size doesn’t matter has never had to deal with a giant or two. As part of the Free Folk army, they are walking siege engines, battering entire enemy ranks with a single swing of their massive clubs. 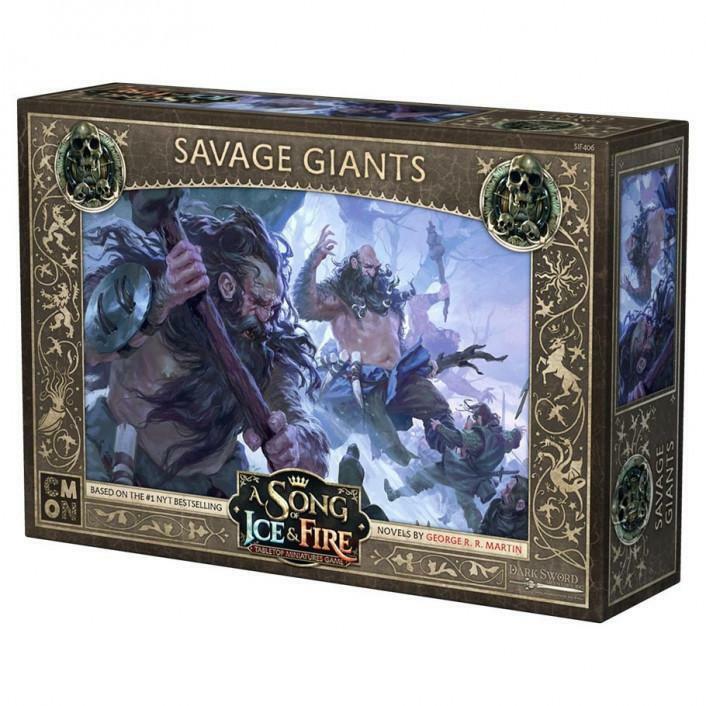 The Savage Giant Unit Box for the A Song of Ice and Fire: Tabletop Miniatures Game gives Free Folk commanders two huge figures to add to their forces. The Savage Giant is both resilient and deadly. Their Mighty Swing doesn’t allow for Defensive Saves, as it can bash through multiple troops with a single swing. 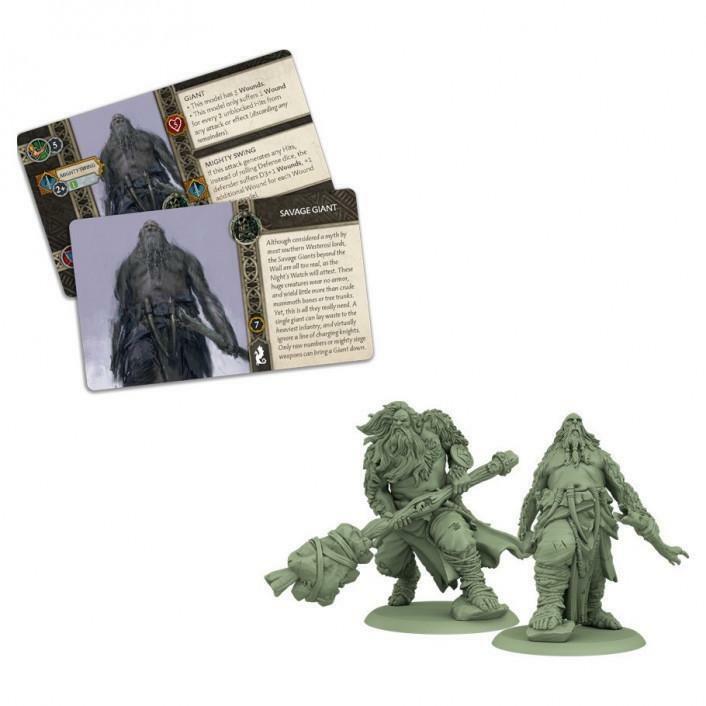 The Giant is resilient, too, having five Wounds and only taking a wound for each two Hits it takes. Hurting the Giant just makes it mad, with its Mighty Swing doing more and more damage for each Wound the Giant has.